Dr. Sima Stein always appreciates feedback from her valued patients. To date, we’re thrilled to have collected 10 reviews with an average rating of 5 out of 5 stars. 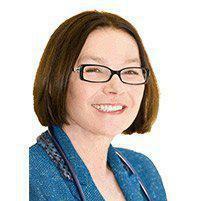 Please read what others are saying about Dr. Sima Stein below, and as always, we would love to collect your feedback. Since our Son was born in 2017, I have nothing but the good things to say about Dr. Stain and her staff. She would always follow up on all our son’s treatments, even accommodate us with a the same day appointment, if there was an urgent need. We are highly recommending Dr. Stain to all the new parents who are concern on selecting their pediatric doctor. Dr. Stein is our pediatrician since both my kids were born. She is very knowledgeable and always caring about her pacients. Sometimes we need short-notice appointments and the receptionist is accommodating us quickly. The messages that I am leaving for Dr. Stein are always answered. I would highly recommend Dr. Stein and her staff! The staffs were very kind and helpful. Great doctor, very knowledgeable. Good facility and staff. Lot of attention for the little one. Professionaland qualuty servise. We are complitly suttisfied by our visit. I am always satisfied with the quality of service. Thanks a lot! Thank you for being so diligent and attentive during our visit with Rebecca.